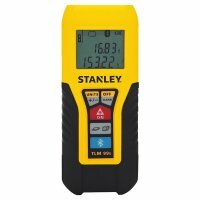 Stanley announced the introduction of their newest LDM (laser distance measurer), model STHT77343 aka TLM99s, with Bluetooth connectivity. It is a powerful LDM in its own right, but combined with the App, it can quickly turn measurements into a customizable floor plan. Some people have already turned to laser measurers to be replacements for their tape measurers, but for others the high cost might be preventing them from making the switch. 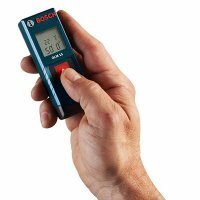 To get you to finally make the switch Bosch has come out with the Bosch GLM 15 Laser Measurer - a simple, accurate, low cost laser measurer. 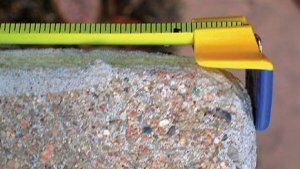 Tape-Ease is a new product that wants to eliminate the problem of your tape measure coming unhooked when you are trying to measure the lengths of jobsite materials. It is a rubber grip that slips onto your existing tape measure and gives it more hooking power. Let's face it, not all contractors are technology wizards, which might prevent them from using tools that could be beneficial their business. In an effort to bring useful technology to everyone, Milwaukee has come out with new laser distance measurers that they say are the easiest to use in their class. There is something common we all need when working on any type of project, and that is good layout and marking tools. But one tool is not good enough for every task. 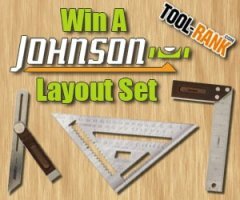 This month Tool-Rank has teamed up with Johnson Level to give away three of their newest layout squares so that you are ready to tackle your projects. 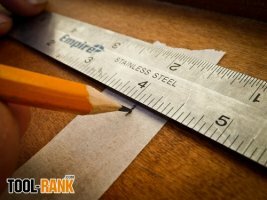 As Gary pointed out the other day in his Quick Tip, a simple ruler can come in really handy on the jobsite and you probably have an old one from a combination square lying around somewhere. 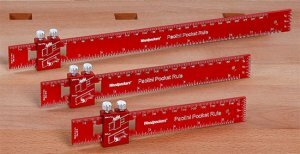 But is the Paolini Pocket Rule from Woodpeckers better solution? 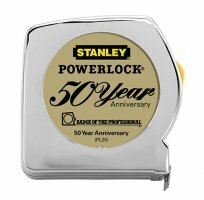 Stanley Tools is celebrating the 50th anniversary of what is probably the most popular tape measure in the US, the Stanley PowerLock. To commemorate the anniversary, Stanley will be releasing a series of five limited edition tape measurers.